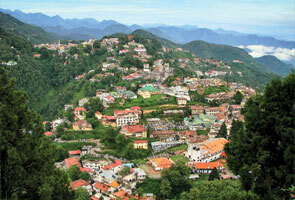 Har Ki Doon is a town situated at an elevation of 3,566mts above the sea level. It is one of the most secluded places in Uttarakhand, unexplored by many. It is one of the most stunning trekking destinations in India with excursion to Morinda Tal and Maninda Tal, doling out overwhelming sights of nature. Har ki Doon on an Indian Map falls in the Uttarkashi District in the state of Uttarakhand and in vicinity to the borders of Himanchal Pradesh and Uttarakhand state. It has two important pass treks namely Kuari Pass Trek and Borasu Pass trek. The former takes the tourists from Uttaranchal to Himanchal Pradesh and the latter terminates at Chitkul in Himanchal Pradesh. The trek from Taluka to Har ki Doon can be covered easily. This trek covers some of the most secluded villages of India that are yet untouched by civilization. The trekking path here ascends the side of the ridge across the river, doling out heart captivating natural views of stately Himalayas. Har Ki Doon is situated in the valley of Swargarohini peak. It is believed that Yudhistir from Mahabharat era was sent with the dog to the heavens from this peak. People here have great influence of the characters from the Mahabharat time period. The ancestors of Har ki Doon are said to be under the reign of Kauravas and Pandavas, the kings and warriors from the Mahabharat period. 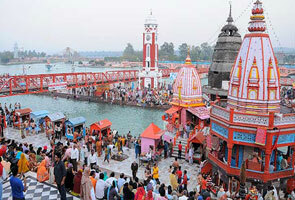 Delhi is the main point to start your journey if you are an international tourist. 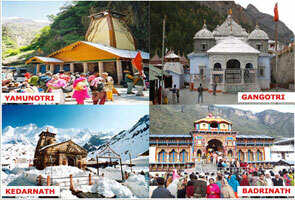 Take a bus to Dehradun from Delhi. Board the bus to Purola from here. From Purola taxis and buses to Sankri are available. Travel via road from Sankri to Taluka to avoid 12kms trek. The real trekking route from Har Ki Doon commences from Taluka. Hereafter, you have to reach Seema, a 14kms distance uphill and downhill. From Seema the route to Har ki Doon is steep and descends couple of kilometers afore reaching the final destination, Har ki Doon. For comfortable stay after hectic travelling schedule, Forest Rest House and GMVN Guest House are the best options. Clean dormitories and spacious rooms are available. 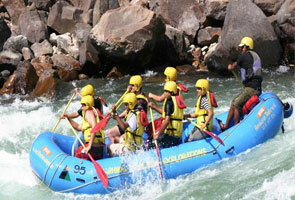 You can also carry tents as they are range of camping destinations en route Har-Ki-Doon. Lodging facilities are also at Seema, Osla, Taluka and Sankri. Har Ki Doon has wonderful places nearby. For trekking one can chose Jamdhar Glacier and Morinda Tal. The Jamdhar Glacier is visible 4kms away from Har ki Doon and is situated towards Swargarohini Peak. But to reach the Glacier one has to cover the total distance of 10kms. On the contrary to Jamdhar Glacier, distance to Morinda Tal is only 3kms from Har-ki-Doon. Besides trekking here, you can also visit Duryodhana Temple of Mahabharat at Osla Village. Moreover, Ruinsara Tal is lake is also an important tourist destination for excursion.